Jet Express is now Jet Basics. Jet Professional is now Jet Reports. Jet Enterprise is now Jet Analytics. Jet Portal is now Jet Hub. Jet Reports Financial stays the same and is Jet Global’s Business Central App Source offering. It is a web-based solution for streamlining and controlling the budget creation and fiscal planning process. It allows a flexible budgeting structure with user-created templates. 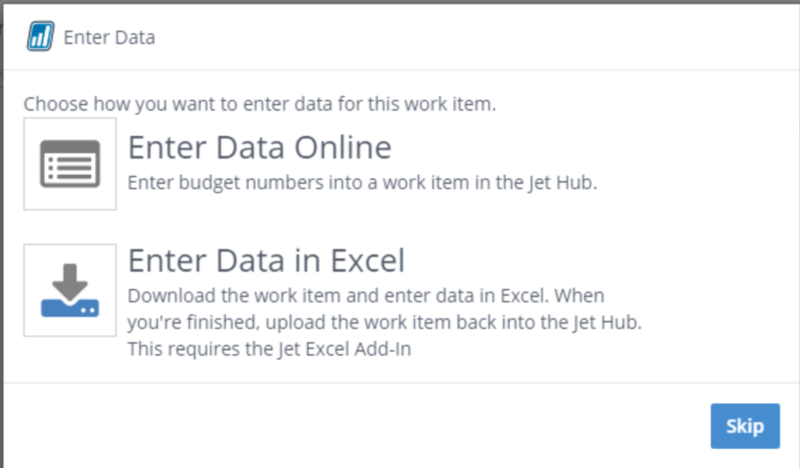 Excel data entry forms can include supporting document tab created within the form and when uploaded back to the budget hub that support history is maintained. It enables collaboration and workflows to help improve accuracy and saves time for budget owners at small and medium businesses. 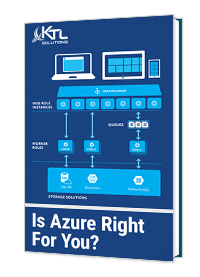 It is built to integrate with Microsoft Dynamics 365 Business Central, NAV, and GP immediately. Budgets can be loaded back into the ERP system or kept in the Jet Hub and still retain the ability to report off the numbers. Any Jet user can participate in the budgeting process without the need of purchasing additional licenses. Budget Owner – Creates, edit and approve budgets. 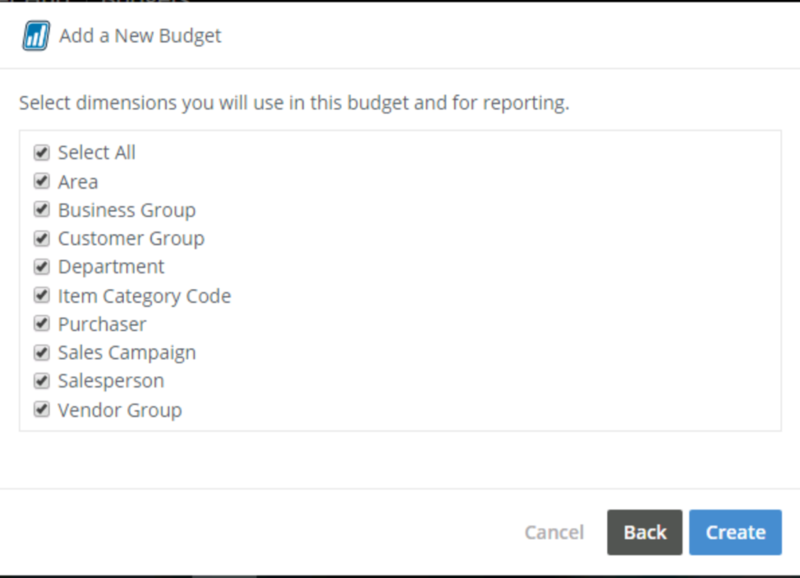 Budget Contributor – Enters in data for the budgets. Budget Approver – Reviews and approves submitted budgets. 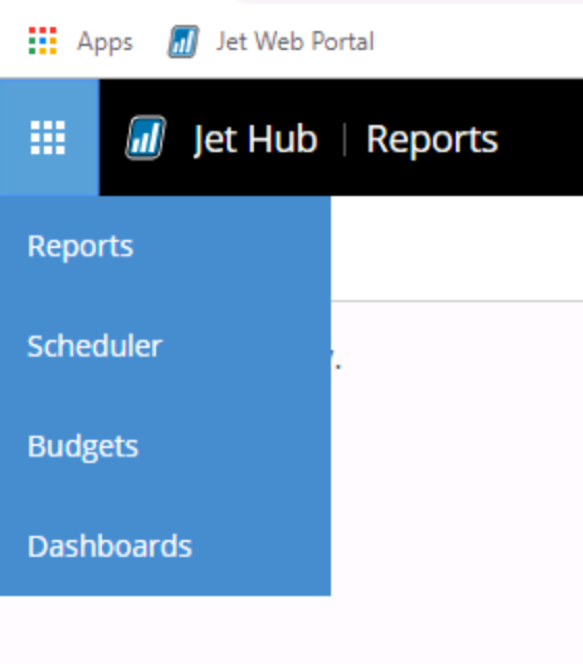 The first step in any budget cycle is to create the budget and to do that Jet Budgets we need to log into Jet Hub and then navigate to the Budgets App from the left-hand app pane. Dimensions or segments to be used based on the ERP system you are using for your data source. For the purposes of this demo, we are going to assume you have already setup the Jet Hub and added Data Source into it. 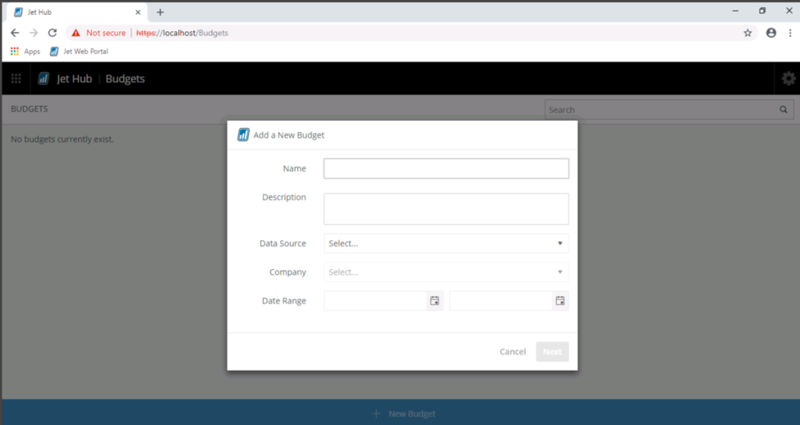 Click the “New Budget” button at the bottom of the Budget App workspace to bring up the “Add a New Budget” window. For me, I started creating a budget for 2018 and used my Dynamics NAV data source. This is what the window looked like before I clicked the “Next” button. Next you will want to select the dimensions you will be budget to. I’m going to use only Area, Customer Group and Department. Once finished click the “Create” button. We should now see a Budget Application Hub workspace that looks like this. 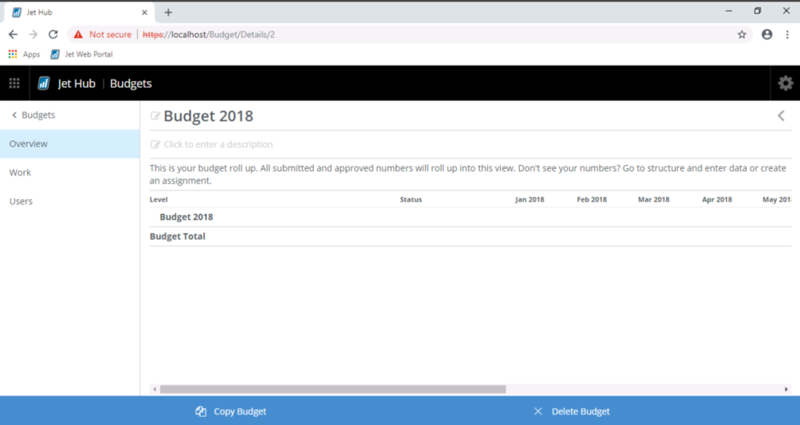 Budgets can be created with a hierarchical structure to easily roll-up various budget levels and provide visibility into the overall budgeting process. To create this budget structure, we need to navigate down from Overview in the left-hand pane to the Work section. You should now have four tabs across the top of the right side of the Work Section for Structure, Work Items, Templates and Reminders. 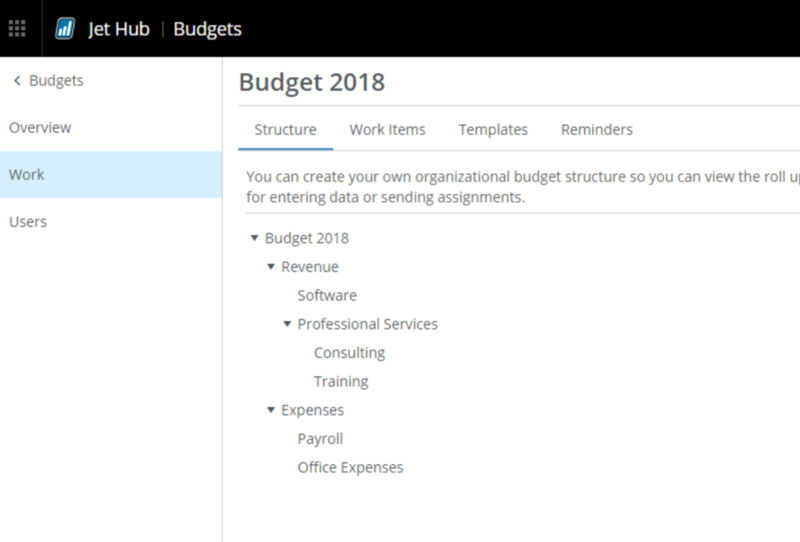 To start building your Structure, right click on the “Budget 2018” budget and add a Structure for Revenue and Expenses. Right click on Revenue and add sub-categories for Software and Professional Services and then right click on Professional Services to add Consulting and Training. In the Expenses structure, we will add Payroll and Office Expenses. Now that we have our Structure built, we need to create “Work Items” associated with the Structure. We have two ways to do that. You can either right-click on the Structure from the Structure tab or navigate to the “Work Items” tab. I’m going to right click on the “Office Expenses” Structure and select “New Work Item”. 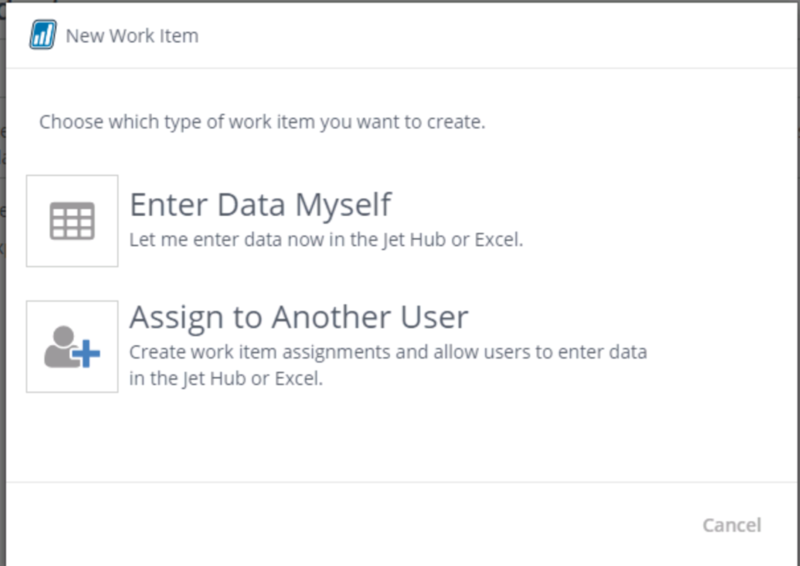 This starts a Wizard that step you through adding a “Work Item” and bring up the “New Work Item” window. I have two options on the first window to either “Enter Data Myself” or “Assign to Another User”. I’m going to select “Enter Data Myself”. 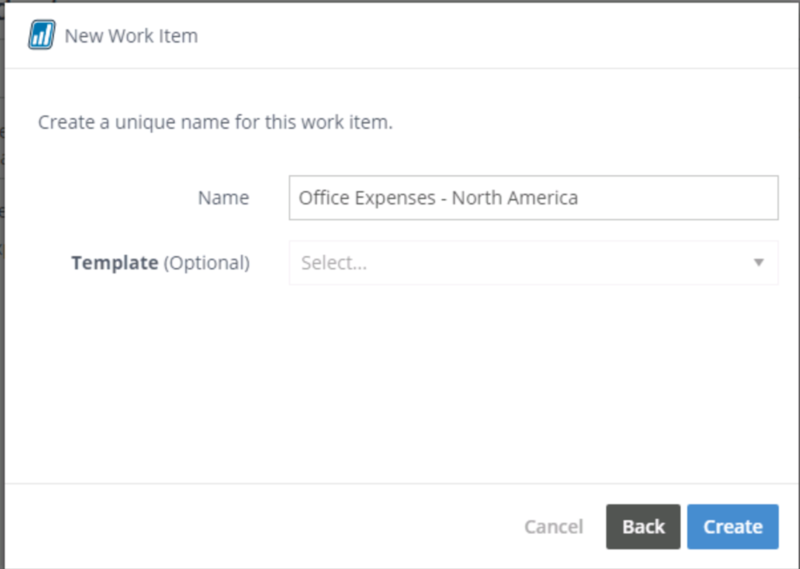 The next wants you to create a unique name for this work item, I’m going to enter “Office Expenses – North America”. Additional on the below window you see an optional field for “Template”. Templates are a way to setup reusable structures to speed up the budget creation process. You can setup accounts, filters and columns once and then easily reuse these when creating work items. 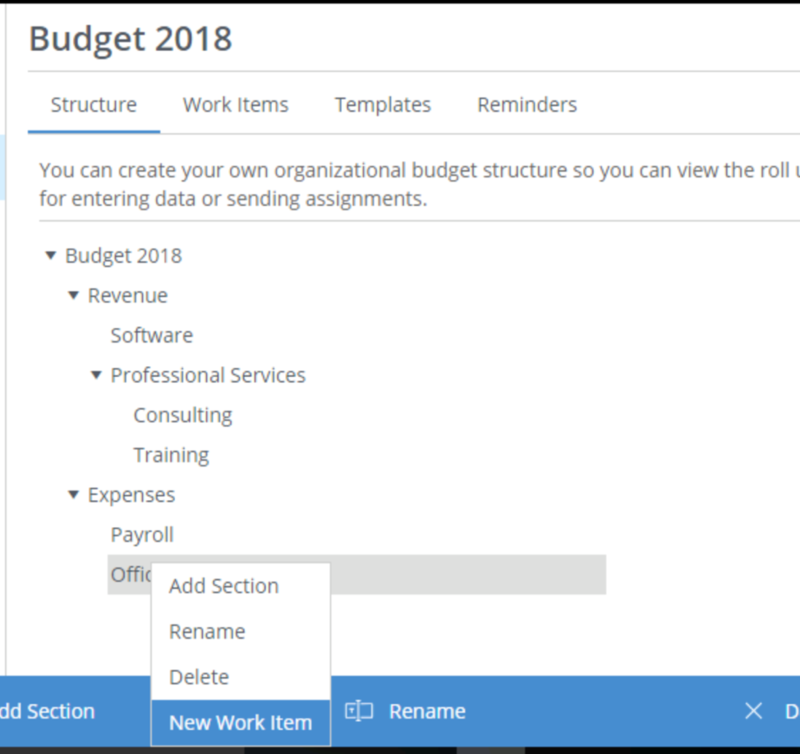 You can setup general Templates and then easily change them for each work item by adding or removing accounts and filters to match that work item task. Editing the Template after creating work items based off of it doesn’t change the previously saved work items. Once you have entered your unique name click the Create button on the bottom right of the window. We now need to select our accounts and dimensions we want to enter for this work item. To the far left I’m going to select the following accounts – 65100, 65200, 65300, 65600, 65700 and 65800. Next I’m going to navigate over the middle pane and select the dimension I want to budget for on this work item. Once I’m done with that, it will prompt me on how I want to enter my data. I’m going to choose “Enter Data Online”. I can also choose to enter data in Excel or skip entering data until a later time. To enter your budget online the form looks like the below screenshot. I’m going to enter my numbers in Jan 2018 (column B) and then highlight and drag the highlighted section over to fill in the remaining months. Work item structure is setup in the same manner. The budget owner can set the approver and contributor users for the work item. If unknown at the time of creation there is a “Unassigned” user that can be used as a placeholder. Deadlines can be set to let the user know when to have work completed and automated remainders can be set based on the deadline date and time. When work items are assigned, messages will be sent in an email to the users and can be used for notes and instructions on the budgeting process. Comments can be added to work items by Contributors and Approvers to help with collaboration and the workflow approval process. 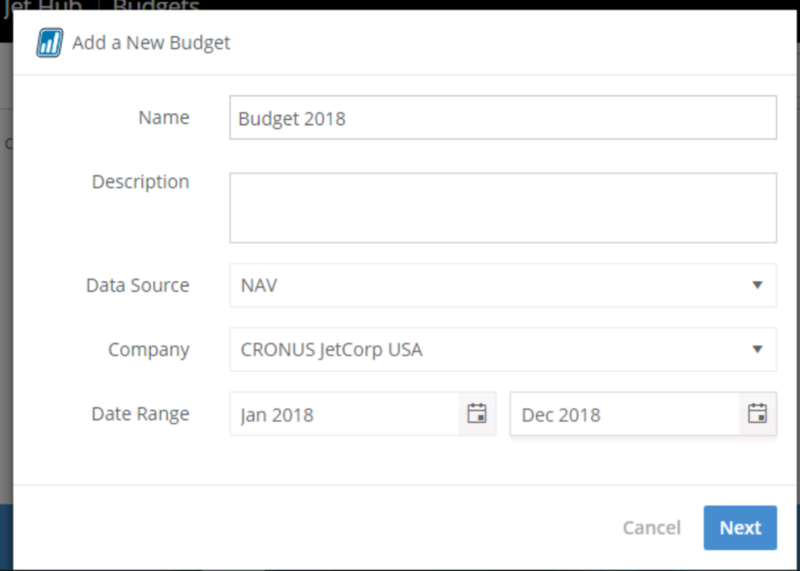 For Budget owners that don’t want to import their approved budget data into their ERP system, Jet Global has added a new GL function named GL (Jet Budgets) to pull data directly from Jet Budgets. Ready to see more of what Jet Global can do for you? KTL Solutions works with business leaders every day in helping them lead their organization into becoming a data-driven organization. 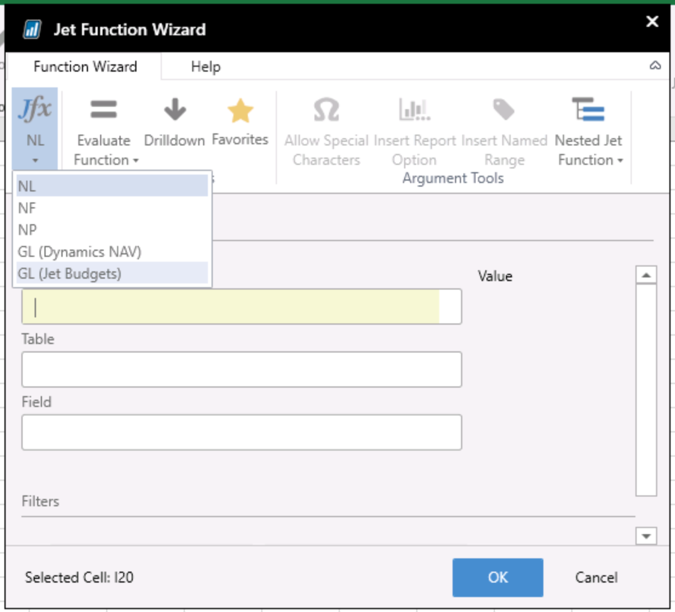 Contact us to see more of Jet Global’s Jet Reports and Jet Budgets or any of these Microsoft products – Dynamics 365, Office 365, Azure and Power BI.